1. Firstly, go download the app to your Android phone. 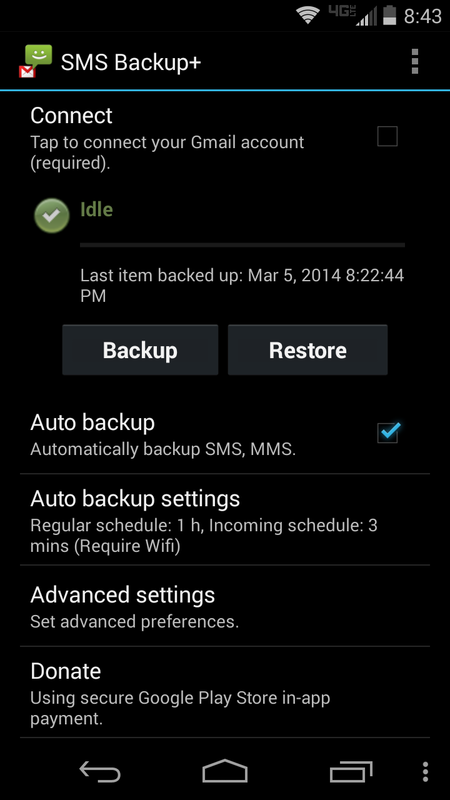 As you can see, there is an option for Auto Backup. 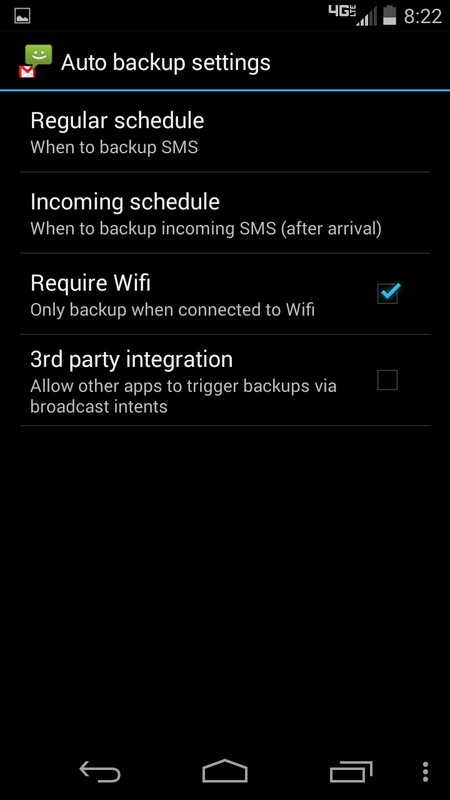 Under this option , you can set the app to upload on a specific schedule and even require Wifi to do it. Under the Advanced settings, you can schedule messages to be uploaded in as little as a minute after you've received a text. Now all your texts will be formatted in the same fashion as in your messaging app. Another nice feature of this is that attached pictures are also saved in your Gmail account. You also have the option of uploading your call logs. The entire process takes mere minutes to set up and isn't at all complicated. You can start deleting your messages, or be assured there is a backup in case your messaging app decides to delete them for you. Plus, now you have proof of a "certain text message you were asked to delete because the person who sent it was really drunk and would totally die of embarassment if anyone saw it." Those are always fun.